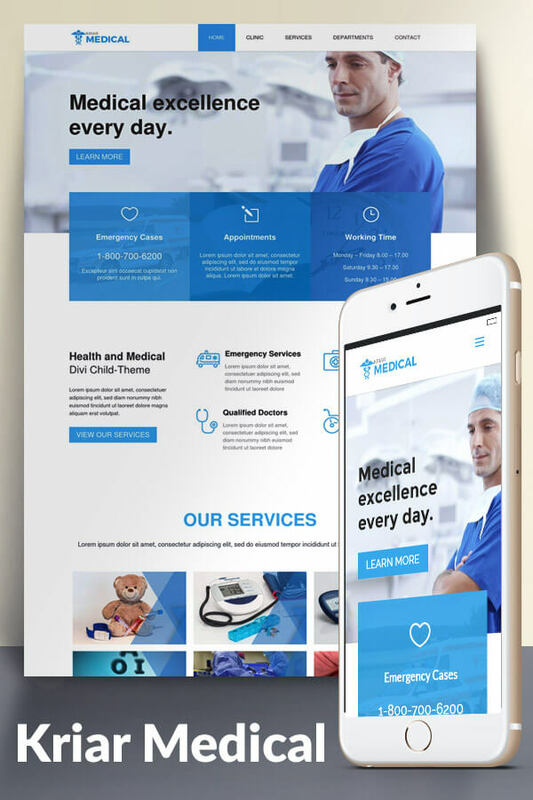 KRIAR MEDICAL is a well-designed and fully responsive Divi Child-Theme for surgeons, doctors, medical centers, dentist chambers, clinics, fitness & beauty centers, pharmacies, small hospitals and other types of health-related websites. You can use it also as a vet theme. – Style.css file with customized css. KriarMedical is developed on Divi 3.0+ Theme for WordPress.